The Town of Batesburg-Leesville Municipal Court is part of the statewide unified court system and Chief Municipal Judge Robert Cook is appointed by Town Council. Municipal Court Administrator BJ Morris oversees the daily operation of the court. 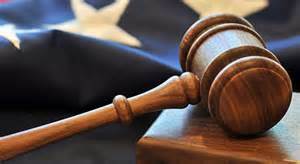 The Municipal Court is responsible for warrants, arraignments, and the adjudication of cases. The Town's Municipal Court is one of limited jurisdiction, hearing only misdemeanor criminal cases, as well as traffic cases carrying a maximum fine and sentence of $500 or 30 days in jail, plus certain other cases as authorized by the South Carolina Legislature. The court has no civil jurisdiction; no lawsuits or non-criminal matters are heard. Appeals for decisions received from the court are accepted in circuit court.